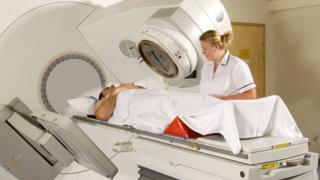 Death rates from cancer are 61% higher in the most deprived areas of Scotland, according to the latest figures. NHS Scotland found living in a poor area affected your chance of survival despite an 11% drop in the number of deaths from all cancers since 2006. There were also 27% more cancers diagnosed in deprived areas compared with the most affluent last year. Campaigners have called for more to be done to understand and address the disparity. The figures showed that in 2016 a total of 15,814 people died from cancer in Scotland, with lung cancer the most common cause of death, accounting for 4,035 deaths. Over the decade to 2016, the lung cancer death rate for men had dropped by 23%, compared with 6% for women, reflecting “historical trends in the prevalence of smoking”. Cancers that were associated with smoking “tended to be strongly correlated with deprivation”, the report said. For cancer of the trachea, bronchus and lung, incidence and death rates were three times higher in the most deprived areas compared with the wealthiest. That was despite the death rate for all cancers combined falling by 11% – with men seeing a 13% drop in mortality rates compared with 7% for women. Breast cancer mortality decreased by 17% for women, while for men the prostrate cancer death rate fell by 7%. However, the mortality rate for liver cancer increased by 55%, with the main risk factors identified as alcohol and hepatitis B and C infections. The death rate for cancer of the uterus also increased by 71%, which statisticians said could be linked to changes in fertility and growing levels of obesity. Trisha Hatt, from Macmillan Cancer Support, said: “While it’s good news fewer people are dying from cancer, we must remember than many thousands of people will die from the illness every year. “We know that too often people are missing out on the right support. We want to make sure everyone with cancer is offered a care plan outlining how and where they would like to be cared for at the end of life. Gregor McNie, of Cancer Research UK, said the report highlighted the devastating toll taken by “Scotland’s biggest killer”. Clarke Carlisle describes being found in Liverpool, as he struggled with his mental health.